The Alfa Romeo Carabo was a milestone in Supercar design. 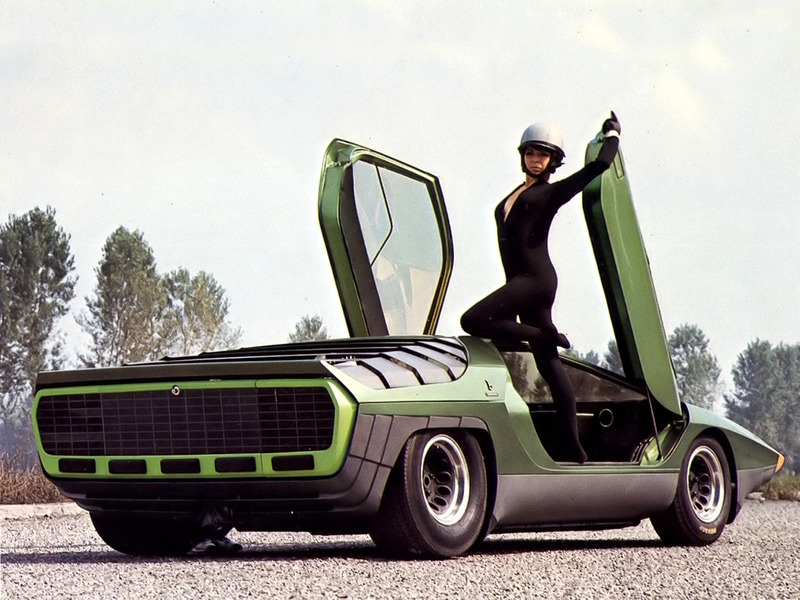 Originally penned by Marcello Gandini, from Bertone, the car was called “Carabo,” meaning beetle. The concept car was shown in October 1968, at Porte de Versailles in Paris, to a stunned crowd. It was built on the Chassis of the mid-engined V8 Alfa Romeo Tipo 33 and was an experimental design. The Lamborghini Miura, also previously designed by Gandini, had suffered from front-end lift at high speeds, so the Carabo was an exercise in focusing on an aerodynamic solution. The car also featured upward hinging doors, which later inspired the Lamborghini Countach.